First of all, what a funny name. Disclaimer: Lion heads are NOT made of lion meat. 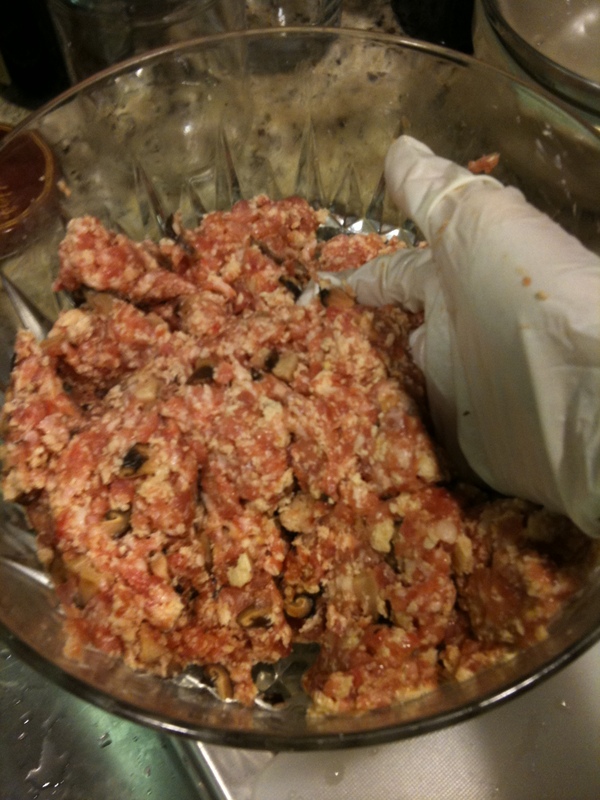 They start with a combination of 3:7 ratio fat to lean ground pork. 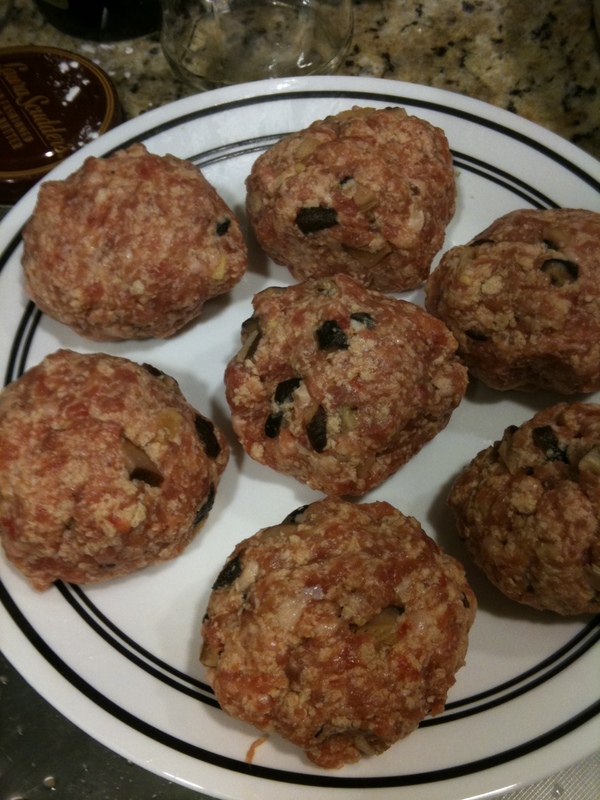 To make 10-12 fist size meatballs, you need about 1.5 lbs of ground pork. 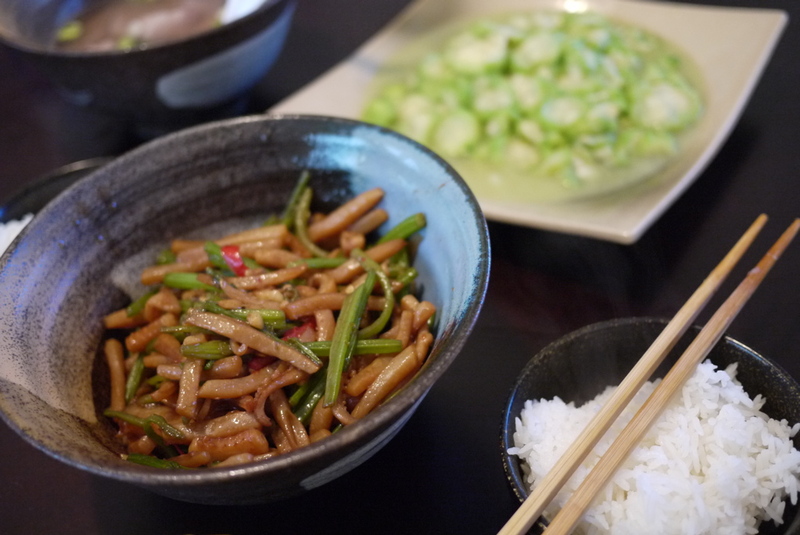 Mix the pork with white pepper; one table spoon of rice wine; one table spoon of soy sauce; 20 shitake mushrooms, chopped; and— one box of soft tofu, broken down to tiny pieces. When I first learned of the tofu ingredient, I was surprised. 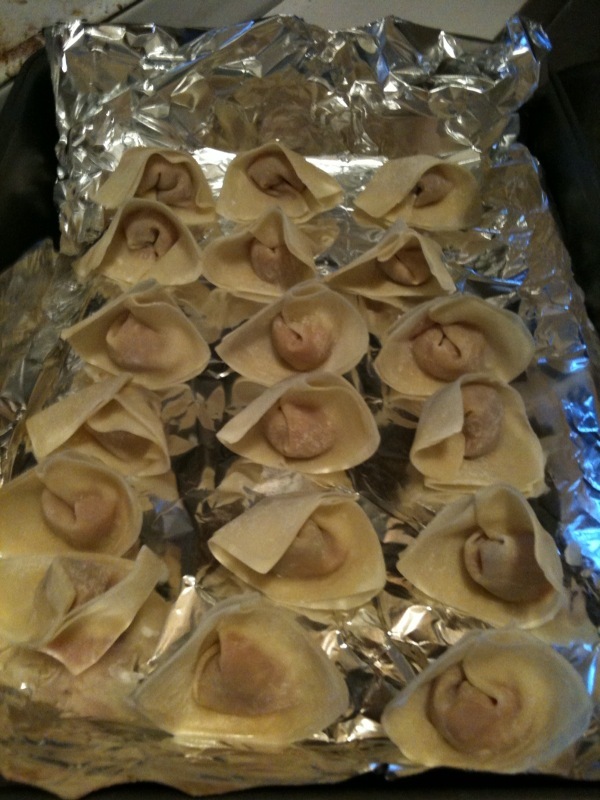 But apparently by adding tofu, the meatballs will have a silkier texture. 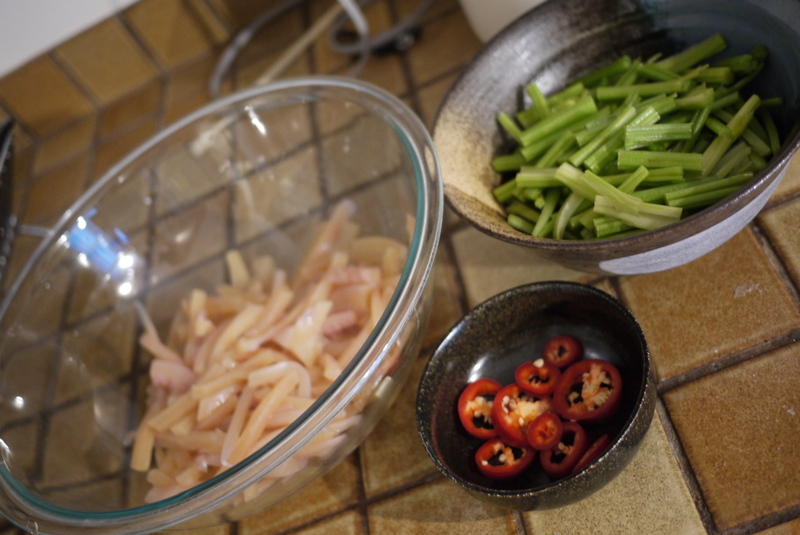 You may also add other crunchy ingredients such as water chestnut, dried shrimp, etc. Different chefs get liberal with what they like in their meatballs. For me, I chopped some ginger for the crunchy purpose. 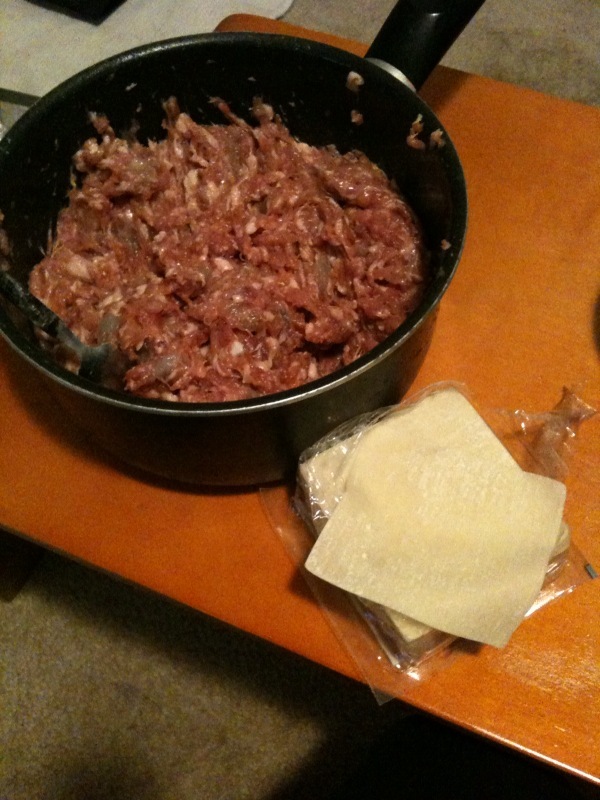 Now roll them meatballs in corn starch and pan fry all sides until golden. 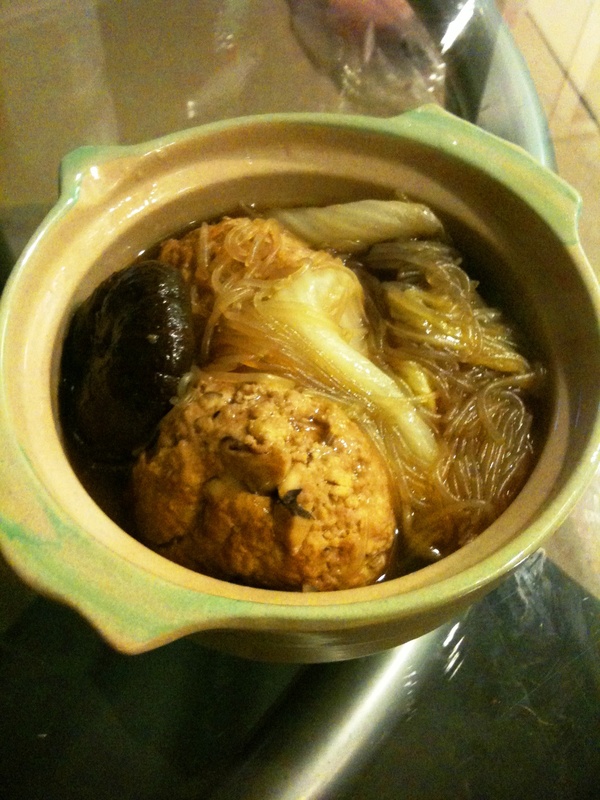 At the same time, start a pot of water to blanch some Napa cabbage. I used about 10 leaves. 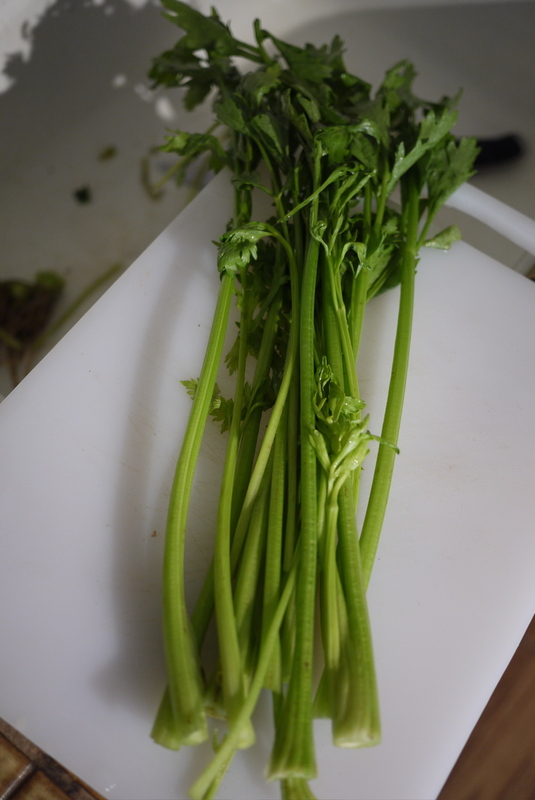 They shrink after being blanched, so if you want your veggies, don’t be shy. 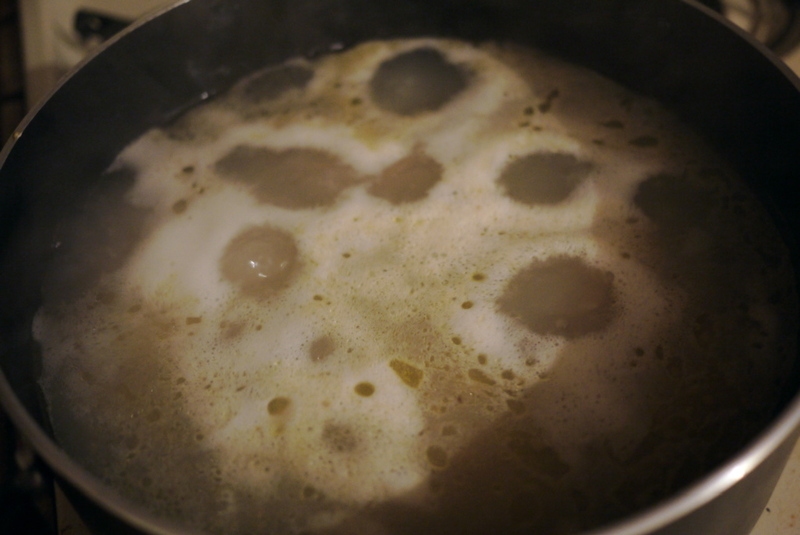 The water used for blanching can also serve as the soup base for the meatballs. 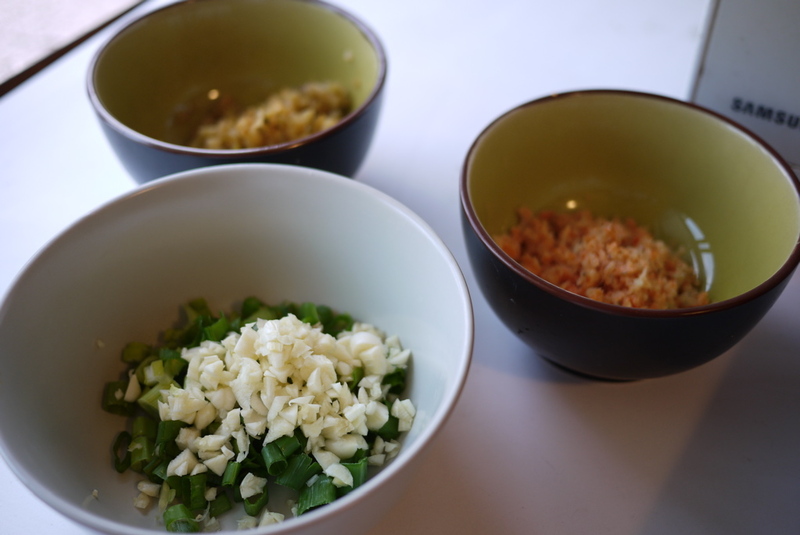 To make the soup: Add a few pieces of ginger, one scallion, and a dash of soy sauce and a table spoon of rice wine to the water. 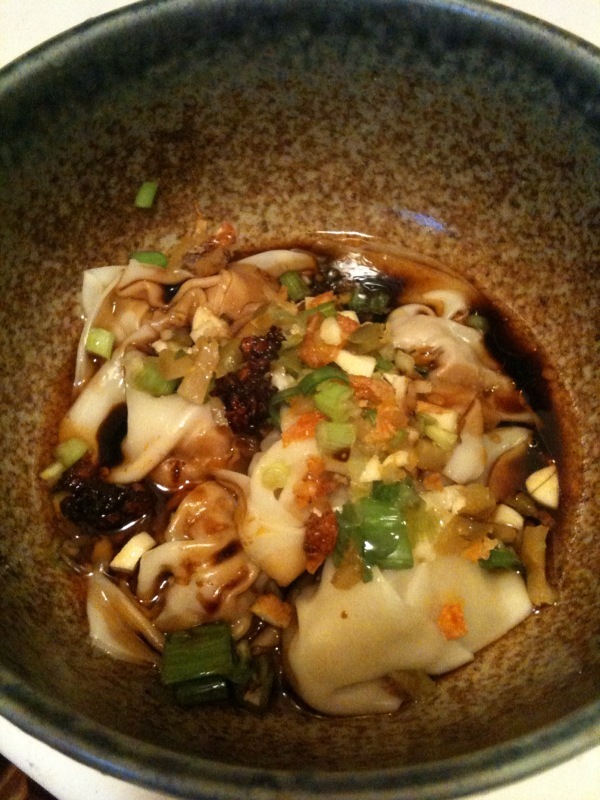 Depending on what you like, you can add more shitake mushrooms (as I did), or bamboo shoots. Once the soup came to a boil, add them meatballs in there. Now give the meatballs a nice long bath by simmering at low heat for at least 45 minutes. 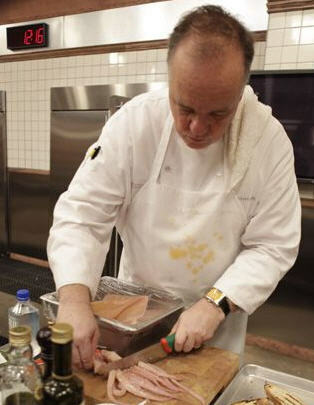 To complete the dish, add rehydrated maun bean threads to the pot when ready to serve. Voila, now you are a lion head eater. Another simple soup: All you need are 4 chicken thighs, about 20 dry shiitake mushrooms, a small piece of ginger, and 1/4 cup of Chinese rice wine. First, heat up a pot of water high enough to cover the chicken thighs. When it comes to a boil, drop the chicken thighs in and let them cook for 5 minutes. This will force out all the bloody, marrowy mess. After most of the mess is out, dump the muddy soup and fill it up with another round of water. So when the clear pot of water comes to a boil, add the rice wine and ginger, and turn down the heat. Let simmer for 2 hours. During the time the soup is stewing, reconstitute shiitake mushrooms by soaking them in hot water. When the soup is all nice and milky by the end of the second hour, turn the heat up and drop in the mushrooms. When the soup comes to a boil, you have yourself chicken soup with shiitake mushrooms, my favorite comfort food.